The world’s first Artificial Intelligence & Blockchain powered Citizen Journalism. You are the Journalist. Journalism is broken. News is influenced by an advertisement-driven economy, fighting for our attention, feeding people what they want to hear, not what they need to hear. 62% of online news readers use Facebook as their primary news source. Yet, we don’t trust social media, or traditional media anymore. And rightfully so. Fake news, biased information and sensationalism are a direct result of the attention-based model, and prevail the industry. Misinformation and emotion-based decision making steers the general population. This is a problem for us personally, as well as for society as a whole. We live in an era where we have more power to take measures in our own hands than we’ve had ever before. We want to challenge the existing, opinionated, traditional media model. Just as what Airbnb and Uber did to their industries, nwzer wants to disrupt the news industry. We believe that together, we can build the first user-generated news agency. What if Reddit, Twitter and Wikipedia had a baby? User generated content is active. Websites and services such as Reddit, Facebook, Twitter, Wikitribune and Wikipedia allow for a broad spectrum of user inputs, potentially moldable into semantically correct and sensible articles. However, it has proven to be a huge challenge to actually stitch together these inputs. Parallel collaboration is prone to errors. Different inputs can conflict, erase or duplicate content. Twitter and Facebook show that people do go through great lengths to voice themselves. Sadly, a single discussion or sensible exchange of knowledge is hard to obtain. However, crowds can generate better and more accurate content than a single ‘expert’ can do on its own. Just as Wikipedia is a better encyclopedia than its renowned competitors, together, we can potentially create higher quality content than the Reuters and Bloombergs out there can on their own. Add to that the often isolated and one-sided nature of professional journalism, and it is clear that classic editorialism leaves the potential of user input untapped, ignoring the opportunities of collaboration with ‘citizen’ or peer journalists. 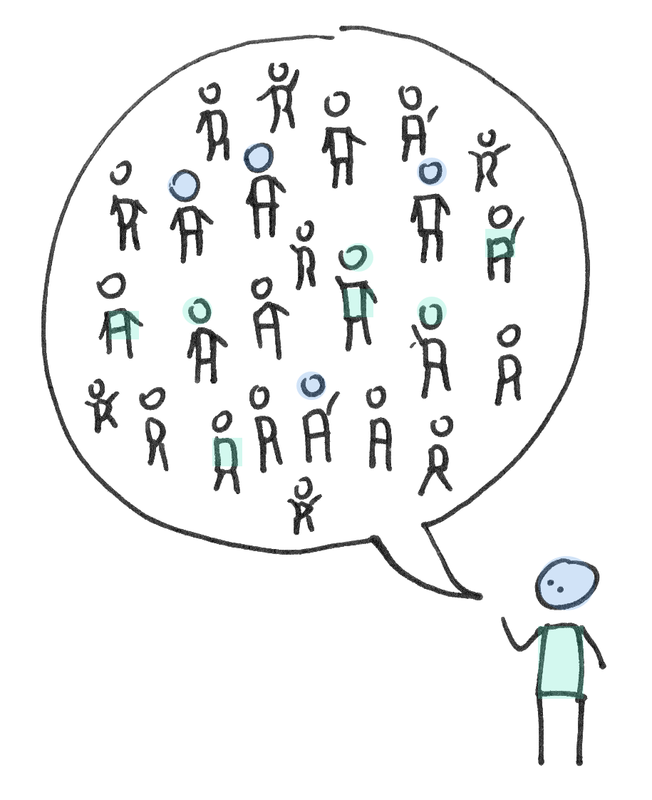 Discussions and collaboration that exist on platforms such as Twitter and Facebook do not relieve its users from the dreaded bubble (echo chambers). Though, everyone should be able to participate in the global discussion without bias or influence. It’s very clear that social media and user-generated content is not going away. nwzer believes that making use of the potential of the crowds’ willingness to collaborate, the way we consume and experience news, will forever change. Ignoring this is ignoring the future. Contact nwzer and signup for alpha testing! Help us liberate citizen journalism. If you think news should be about quality again instead of clickbaits, then you should probably follow us on twitter or write us an email. Or, if you are really curious what we're up to, you can sign-up for alpha testing here!